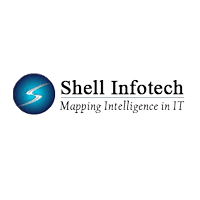 Shell Infotech is coordinating Shell Infotech Walkin drive in Noida for fresher job searchers. So all the people if you are freshers and need to get a placement at Shell Infotech? By then check the most updated news of Shell Infotech Walkin 2018 at Noida. Thus hopefuls must know the data of the Shell Infotech Walkin. In this article, you can analyze the below Freshers Jobs in Shell Infotech article to get every one of the information on the current walkins. Candidates with one year of experience, all the candidates can get this fantastic position. You can look down below to get detailed information about Shell Infotech Walkins Noida. We have also included Walkin Date, Time and distinctive particulars. Job aspirants can check every one of the information here on this most recent job openings in Noida page. To know more, you can visit our web portal Freshersnow daily. excellent INR 1,25,000 – 2,50,000 P.A. Employment hopefuls who are having at least 0-1 year of experience as Customer Care Executive can apply for Shell Infotech Walkin. As the Interview date is moving toward a closer, start your preparation with the help of all the Placement Papers open here. Take a look at the entire Interview Questions for Shell Infotech Walkin Noida. To get more detailed info on different Walkins to bookmark our site and get predictable updates. Shell Infotech is one of the Information Technology (IT) company and also IT Staffing Services provider headquartered in Singapore. With over a decade of experience and 700+ employees working across multiple locations, we can leverage this vast expertise to deliver real value for our customers in the fields of IT Staffing, SAP Services, Enterprise Applications & IT Managed Services. Founded in 2002, Shell Infotech has grown as the most preferred destination for employers and job seekers alike. We make mutually beneficial professional connections happen, delighting our esteemed clients and providing great opportunities for our candidates. We exist to nurture and enhance such connections where passion and purpose come together.